The Milwaukee Brewers are interesting in trading Jonathan Lucroy before the trade deadline expires, getting plenty of interest from the Cleveland Indians, Boston Red Sox, Texas Rangers, Detroit Tigers and New York Mets. The Indians seem to be the more recent joinees to the party, talking to the Brewers about both Lucroy and reliever Will Smith. On the Indians part, their bigger interest might be in Smith, the 27-year old left hander, hoping to improve their bullpen, which hasn’t been keeping up with the displays from the rotation and most of the lineup, although there are holes in their batting the Indians would like to fill, and Lucroy would serve as a significant upgrade. Another AL Central team, the Tigers, seem to be another latecomer to the “Lucroy” party. Ken Rosenthal assumes the Tigers might try to offer James McCann to the Brewers, with the Mets waving the talented but often injured Travis d’Arnaud in front of them. It’s safe to assume the Brewers will be asking for more than just one player, even if he’s ready to play right away, for Lucroy, who is having a very good season, and is playing on a very affordable contract. 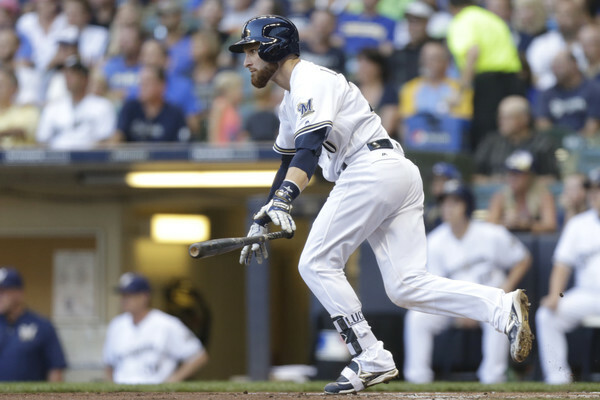 It won’t be surprising to see Lucroy staying in Milwaukee after August 1. He has a $5.25 million team option on his 2017 season, which means he’s tradeable in the Winter too, making negotiations a little less stressed and narrow in their timeframe. Lucroy has expressed that he wants to play for a winning team, which the Brewers aren’t at the moment, currently 4th in the NL Central, going 43-56. They have quite a few pieces intriguing to other teams, but they’re probably two years away from contending, if their retooling plans go as planned. The 30 year old catcher who can also play first base is having a nice bounce back year, hitting 13 home runs through 371 plate appearances, batting .300 with a .848 OPS. He made the All-Star this season for the second time in his career.